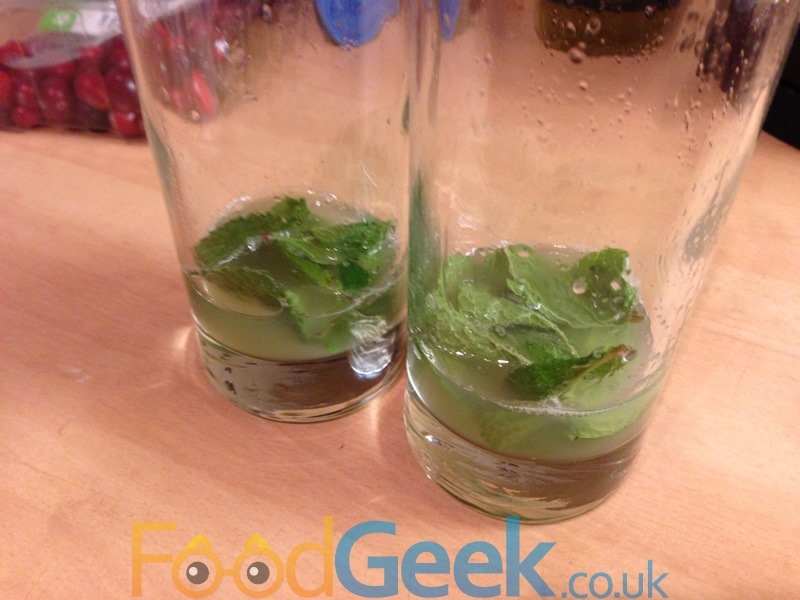 I’m a massive Mojito lover, they’re my favourite ever cocktail but they’re a bit too summery to be drinking at Christmas so last year I was determined to come up with a perfect Christmassy Mojito. I played around with all sorts of combinations to give my mojito a festive kick including adding cloves, cinnamon, clementines etc.. but most of them didn’t quite work. I finally settled on a Cranberry Mojito and tried a couple of different versions including using dried cranberries or just cranberry juice but this version using my Extremely Useful Cranberry Syrup is the best. They taste absolutely gorgeous and look really festive too with the vivid red & green colours. 1. 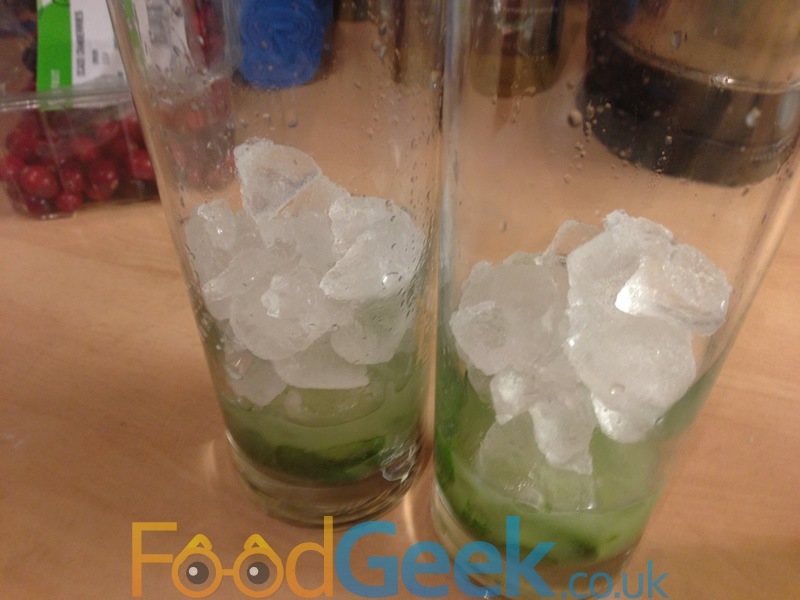 Squeeze the juice from 1 lime into a highball glass. 2. Add a small handful of fresh mint leaves and muddle. 3. Half fill the glass with ice. 4. Add 50ml (double measure) of cranberry syrup and a double measure of rum. I like using spiced dark rum but any will work including regular Bacardi. 5. 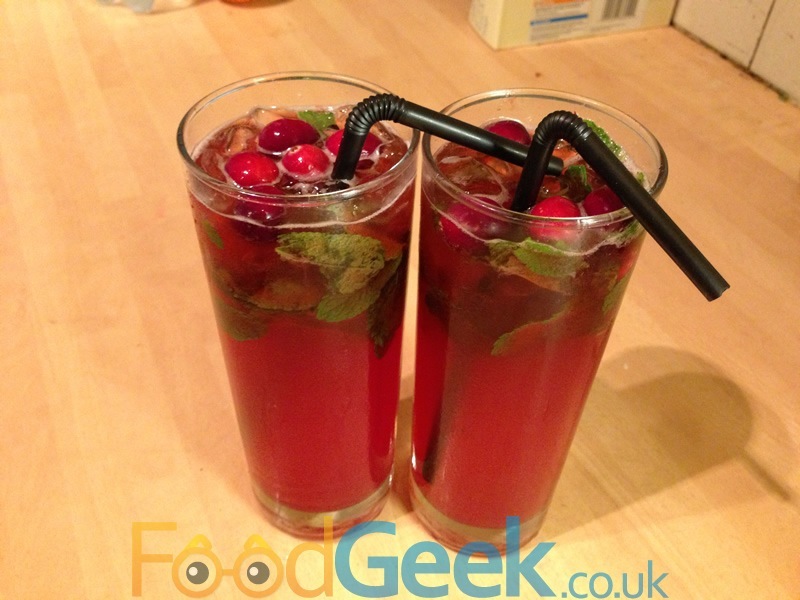 Fill the glass up with soda water, stir well and add a few extra mint leaves and cranberries for decorations. It also works really well with a single measure (25ml) of Chambord added with the rum & syrup.